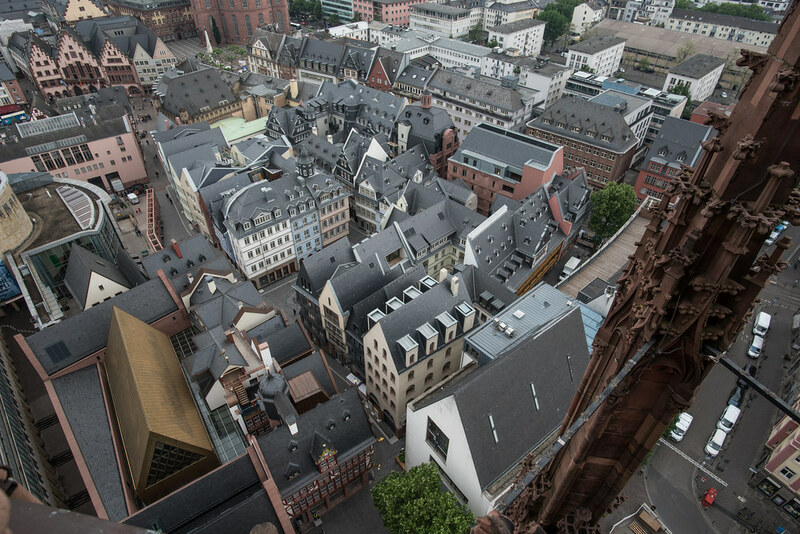 The DomRömer Quarter in the heart of the old town of Frankfurt, Germany, has received a new breath of life after the controversial Technical City Hall building was pulled down some years ago, and the entire quarter reconstructed in the style of the pre-war architecture. The historical city center with its beautiful timber-framed buildings was destroyed by RAF bombing during the Second World War. 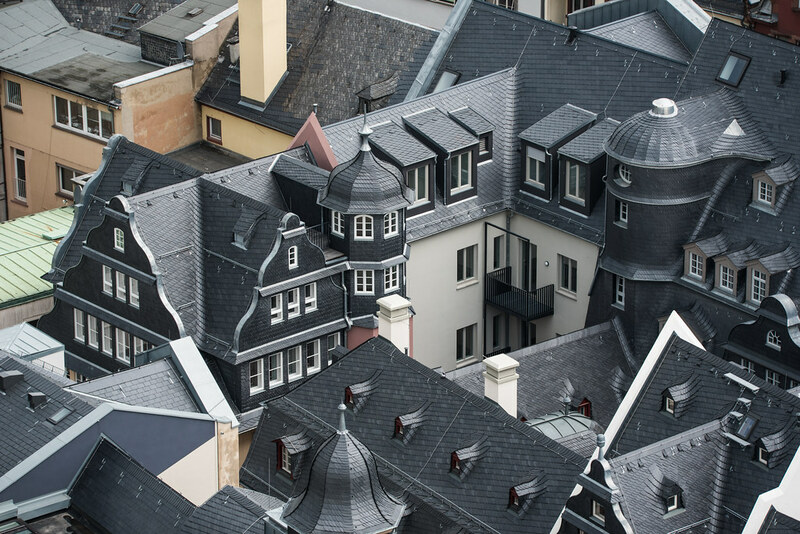 When this quarter was rebuild in the 1950s, the charm of the old alleyways, romantic squares, and picturesque courtyards was lost to modern brutalism, although some effort was made to preserve the historic look, such as the Römer city hall whose old façade was left standing and a modern office building built behind it. When the Technical City Hall with its grey concrete walls rose in the 1970s, there was much public bitterness. 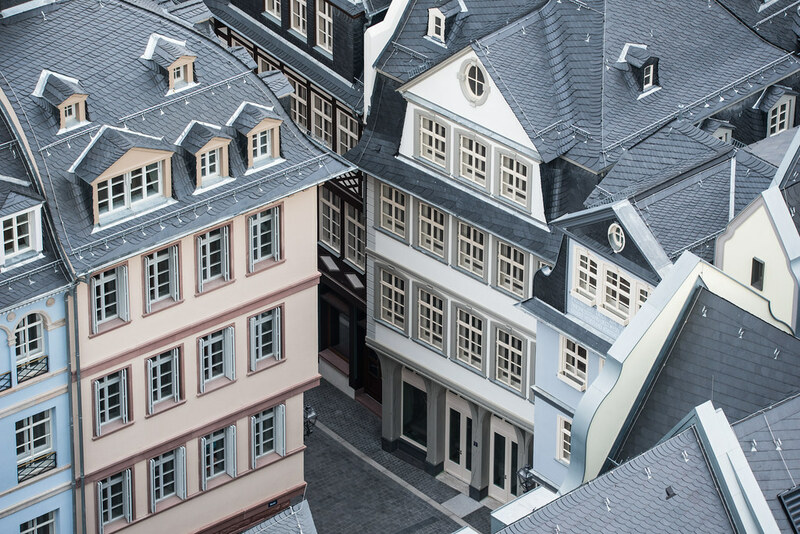 A change of direction came in the 1980s when the Ostzeile, opposite the Römer city hall, was built mimicking the old style. Soon the public began to demand the demolition of the Technical City Hall and to make the old city look like before the war. The campaign finally succeeded, and in 2010 and 2011, the Technical City Hall and the Museum of City History were demolished to make way for the DomRömer Quarter project. After eight years of construction, DomRömer Quarter was officially opened to the public last week. The 7,000-square-meter site contains 35 houses, out of which 15 are faithfully reconstructed according to their historical blueprints, using original construction materials and traditional craftsmanship, with much care and attention given to details. A number of decorative elements that survived the air raids of 1944 were also returned to their former locations. The rest twenty buildings were built as modernist impressions of the old designs. As in the past, the quarter will also house little shops, restaurants, premises for local craftsmen and picturesque squares. Around 200 people are expected to make this their new home. The Hühnermarkt (Chicken Market) before the war. Frankfurt’s old town after Allied bombing.